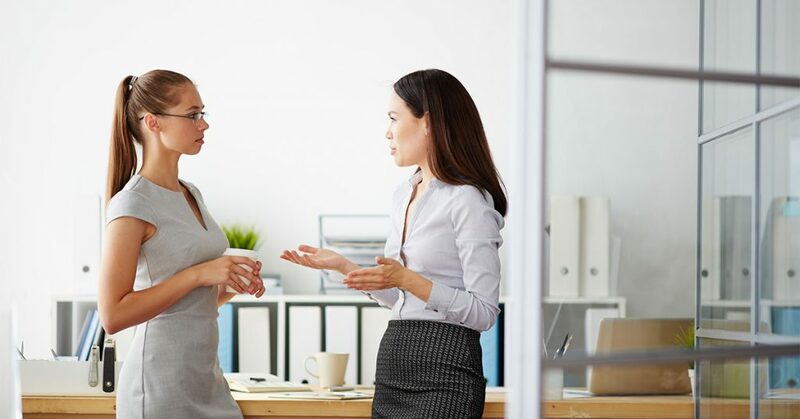 Poor communication in the workplace has the potential to create conflict, negatively impact the morale of your team, and eventually translate in poor performance and loss of productivity. More often than not, work mistakes and failures are caused by miscommunication. Failing to communicate efficiently with your employees can have lots of negative consequences for both your company and your employees. In this article we are going to explore the most frequent reasons why communication fails and give you some tips to overcome miscommunication at work. No matter its form and medium, in order to get through, communication must be kept simple. Don’t write one thousand word emails about your next meeting! It might have the unwanted effect of confusing people and increasing frustration among employees. Besides that, saying everything that’s on your mind in a memo defies the scope of having a meeting in the first place. Instead of sending long and complicated emails to your people, remember that less is more and try keeping it simple. Use paragraphs instead of blocks of text, use numbers and bullet points to separate your ideas and always keep it short. Making efforts to sound professional in your office communication can backfire. Using complicated phrases and wooden language derails your audience from what matters the most – the message. Form is important, but don’t forget that content is king. Paying too much attention to the form might make you lose sight of the content. Reading impersonal corporate messages is no fun for anyone. People will throw an eye over your memo and read between the lines. Avoid that by formulating your written communication using a warm, friendly, and respectful tone. People usually forget that communication is a two-way street. If you want it to work, you need to establish a connection with the other person(s). If you are the one who always does the talking while others only listen, it is very hard to actually establish a relationship that will make people want to hear more of what you have to say. It is therefore very important to pay attention to others and show interest into listening to them. Learn about your employees and their preoccupation. Also, put some effort into individual relationships and always be available to listen when they have something to say. It proves people that you are interested in listening to their opinion. It shows you that others have actually paid attention to the things you said. Make a habit out of asking questions during all conversations and even at the end of the written messages you send. Knowing that you are waiting for a reply will make people read your message carefully and actually think about it rather than just taking notice. Conversations can easily get derailed by skipping from one topic to another. This happens often especially in meetings with more participants. You start talking about one issue but soon find yourself discussing a completely different issue before completely solving the first one. In the end, this is a waste of time and productivity. Avoid this by appointing a moderator. That person will watch over time and reinforce the agenda. And she will make sure no issue is put behind before reaching a conclusion. Way too often, managers and team leaders expect their people to do things a certain way, without actually verbalizing their expectations. One of the biggest mistakes you can make is assuming that people know what to expect. Or that they will do things a certain way because you see it as the logical way to do it. When this doesn’t happen, you feel disappointed and your people become frustrated. Prevent that from happening by making your expectations clear and asking questions to make sure that your team understood exactly what you want them to do. There is nothing more harmful in an office environment than gossip and rumors. Many times these are fueled by management decisions that aren’t communicated completely. Or aren’t delivered to everyone at the same time. Change is scary even when you know exactly what is going on. But when all they have is rumors and assumptions, people become anxious and distrustful. Spare yourself and your employees of this unnecessarily stressful situations by making transparency a core value of your company. Deliver important news at the same time to all employees and make yourself available. If that’s not possible, designate a person to answer questions and settle concerns regarding any important change. In this day and age we have more communication channels available than at any time in history. Chat and voice conferences allow people to communicate in real-time. Team communication apps, such as Hubgets, have been created especially to solve communication needs businesses have nowadays. At the same time, many companies are still heavily relying on emails for communication. Emails get forgotten, people read them at different times, composing takes too much time, and a simple misspelling can derail from the intended recipient. Besides that, communicating through emails doesn’t give the receiver the opportunity to ask questions and get clarifications on the spot. So, use emails and chat messages wisely, according to your communication needs. In the end, avoiding miscommunication at work can be summed up to only two concepts: concision and transparency. All it takes is being concise in delivering your message and transparent in your intentions. Promote a company communication culture based on these two values and make miscommunication a problem of the past.